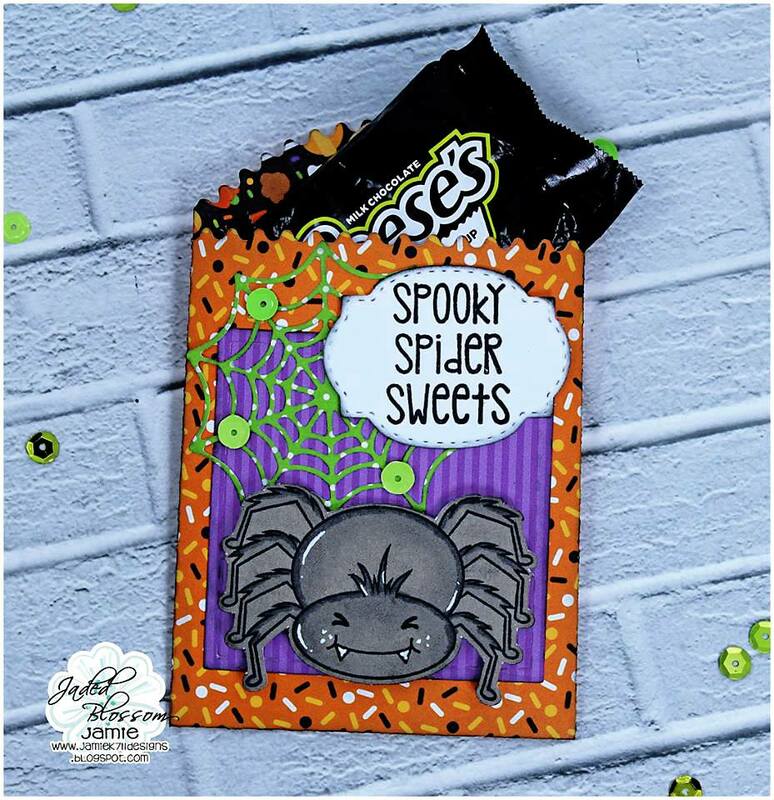 Jaded Blossom: Spooky Spider Treats! I started with the Paper Bag Die and added the square from Card Mat Dies. Then I layered on a spiderweb from Halloween Dies and a Label Shape Die with a sentiment from Spidey Senses. Last I finished it off with the adorable spider stamp!